. : THE THIRD MILLENNIUM SHERLOCK HOLMES! 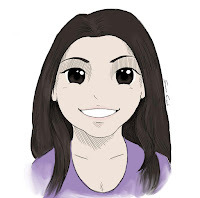 If you are a fan of mystery stories and you love Manga, this is the right article for you! Detective Conan is here!! 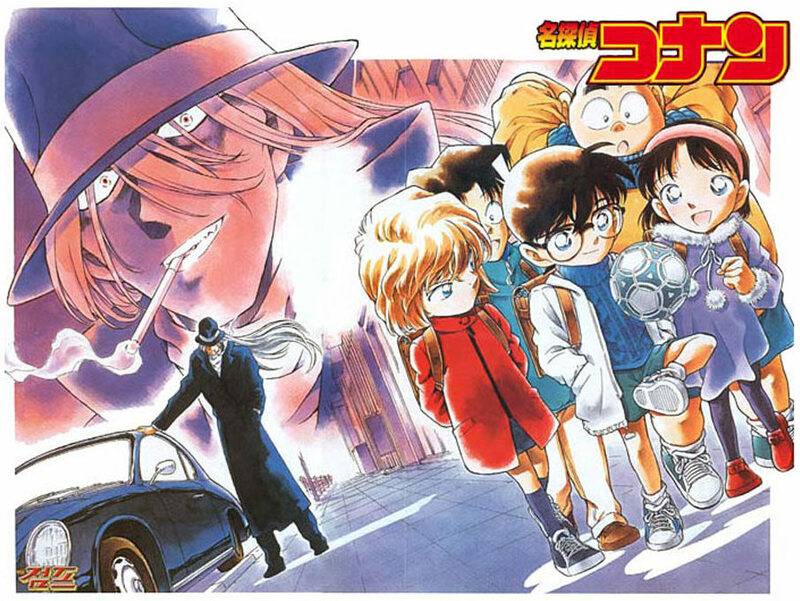 This comic, created by Gosho Aoyama in 1996, is famous all over the world. For this reason, an animated version was released. 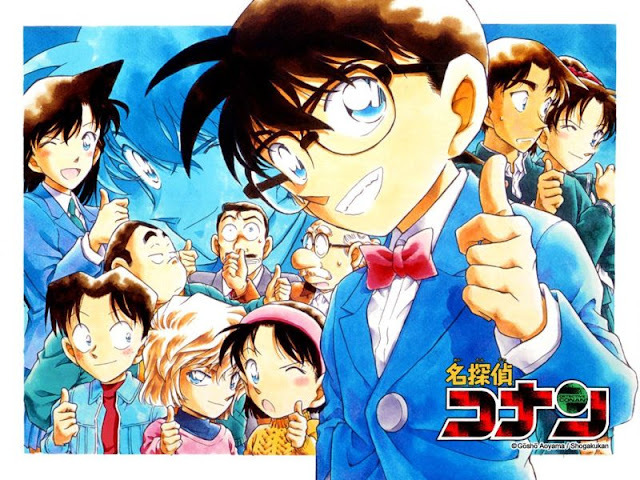 Now the Anime of Detective Conan is one of the most watched. So, people keen on Detective Conan, enjoy reading! We love Detective Conan but we have to admit that there are many strange things! A child who attends the crime scene, it isn’t odd at all, is it?! Conan and The Junior Detective club are so intelligent that every policeman pays attention to them as if they were Sherlock Holmes! Conan succeeds in explaining complicated theories about the way a person was killed even though he is only 6!! When Conan sends someone to sleep to solve a case, this person doesn’t move his/her mouth to speak, no -one notice that, not possible, is it?! In every episode, everyone uses… a nylon thread to kill someone! Who would have thought it? So, if you want to kill a person, don’t forget it. When Conan is at the crime scene, a hair is enough and he understands everything and each time we feel so stupid! TO CAP IT ALL… after 22 seasons Conan is still 6 years old! He doesn’t grow up!! Episode after episode Conan has to face the Black Organization, that is a criminal and secret organization. Some of its member made Shinichi become a child. So, he tries to go back being an adult and to find a cure. In the Italian version, the members of the Black organization have the same names of famous spirits like Gin, Vodka, Chianti and Vermouth. An eternal fight, there is no winner. The most wanted thief against the most intelligent detective of his age: Kaito kid against Conan! The two boys, with brilliant minds and two different goals, challenge each other to determine who’s the best. Kaito wants to steal precious jewels but Conan tries to stop and arrest him, but he can’t because Kaito uses magic tricks and his cut- flying to escape from the police. They respect each other, because they recognize each other’s cleverness. Shinichi is so intelligent, no doubt on that, but Heiji is definitely handsomer! Heiji Hattori, the “west detective”, is Shinichi’s best friend and a teen detective. Actually, they are friends-enemies because both want to be the best, trying to solve the case before the other. He is more amusing, he makes us laugh. He’s a bit obsessed by his cap in fact he’s never taken it off. Being superstitious, he takes his lucky charm always with him. Gosho Aoyama was born is Hokuei. 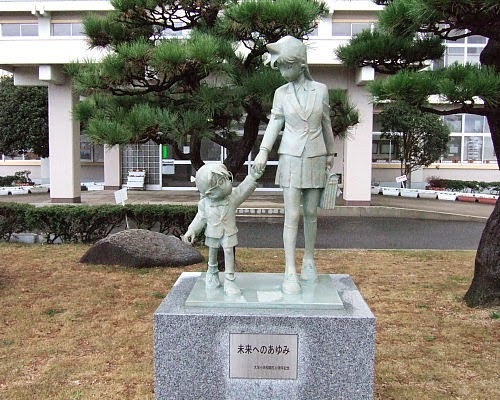 Some beautiful statues were built to pay homage to him. And not only: cars, tiles, undergrounds and other decorations. 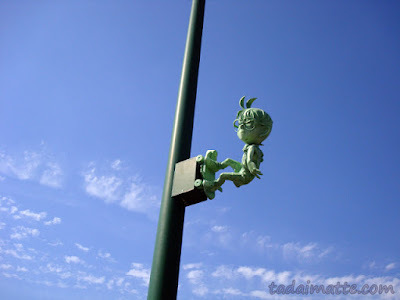 The Japanese are truly imaginative! Here Conan is with is super-skateboard invented by Doctor Aghasa. This time he has surpassed himself! The column makes the atmosphere more serious!